1 – Add 100 g of fine sugar and 200 ml water into a pot and reduce until it’s a thick syrup. 2 – Let the syrup cool. You’ll know it’s ready when it changes from an almost foggy colour to a clear colour. I’d suggest making more syrup and storing it in the fridge for refills. 4 – Scoop into Martini Glasses. 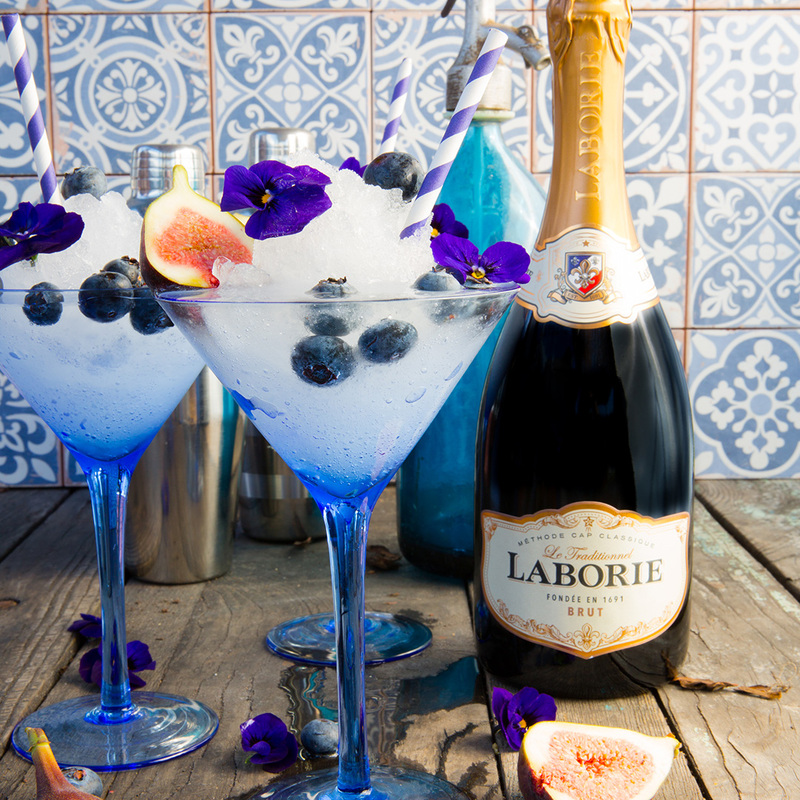 5 – Finally, Charge each glass with a dash of ice cold Laborie MCC Brut. 6 – Garnish with cut plums, blueberries and edible flowers. 7 – Serve with a straw and enjoy.